As practice shows, modern engines do not require frequent changing of engine oil. Nowadays, the minimum oil change interval is performed at least twice a year or every 5,000 to 7,500 km. Any car comes with the relevant documentation in which the manufacturer indicates how often the engine oil should be changed. But if the car is operating in ideal conditions, it is possible to focus on these figures. Changing of oil in the engine doesn't depend on the car mileage or time of operation of the vehicle but on its modes, conditions of use as well as the type of oil you use. What’s the difference between synthetic and conventional motor oil? Conventional and synthetic oils are lubricants that are used for moving parts of a car engine as well as to clean and to protect them. Synthetic oil, as the name implies, is designed artificially from different compounds, by various chemical reactions while conventional motor oil is manufactured from petroleum. 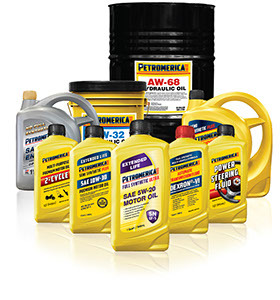 Synthetic oil is produced in labs or at factories and used to operate in extreme temperatures. It has no impurities and metals, and consists of more uniform chemical composition; it is more refined and further processed than conventional oil. Synthetic oil is changed less frequently than conventional oil which needs to be changed every few thousand kilometers to protect the engine. Synthetic oil is much more expensive than a conventional one.